Can’t decide which of your family’s favorites to have for dinner tonight? 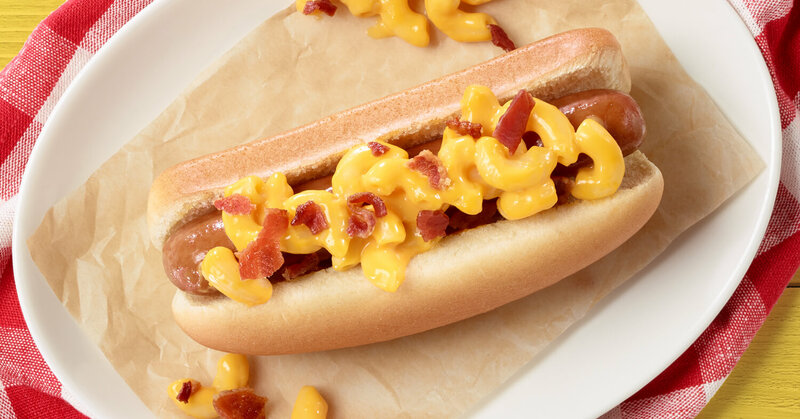 Have the best of both worlds with our Bacon Mac and Cheese Dogs and let us know how you liked them! Prepare mac and cheese according to box instructions. While the pasta is cooking, cook up Gwaltney Bacon in a skillet or in the microwave and break into small pieces. Cook up your hot dogs on the grill or in the microwave, and toast your buns (optional). Place hot dog in bun and scoop some gooey mac and cheese over the dog. Top your dog with piece of bacon, and enjoy.